UZGent is relying heavily on (Building Information Modelling (BIM) during the renovation of its surgery complex. The cooperation between architect, engineering firm and contractors must also provide added value in the operational phase after the construction process. During the upgrading of block B, a new unit for preoperative anaesthesia consultation (PAC) and a monitored anaesthesia care unit (MAC) will be added to the surgery centre. In the design process, Revit was chosen as modelling software. UZ Gent requests all construction partners to use the same software in the execution and to work together on a BIM platform. Once the contractors have been assigned, UZ Gent will organise a 'virtual delivery'. Ingenium converts the design model’s building techniques into an execution model in which all conflicts can be detected and resolved before the works effectively start. This avoids unnecessary loss of time and delays on site and guarantees the execution times are met. The BIM protocol that Ingenium drew up in consultation with UZ Gent ensures that the collaboration in the virtual model runs smoothly and efficiently. 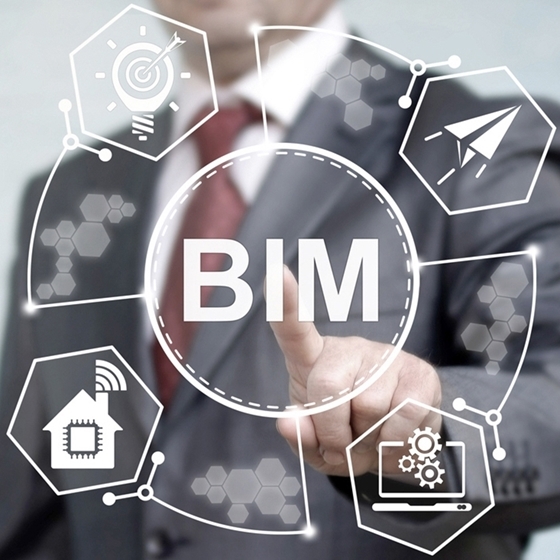 The BIM model not only facilitates the design and construction process, it is also a useful instrument to operate the building. It is the physical building’s 'digital twin brother'. The many data included in the 3D model are useful for building management and maintenance, as well as the technology. Moreover, future modifications and functional changes can first be tested in the virtual model. This first integral BIM project is a pilot project for UZ Gent. If it receives a positive evaluation, this method will also be applied in the future for the construction of a partially new hospital.